Involved in an accident related to defective highway design? Get compensation for medical bills, pain, and suffering from the help of a San Diego highway design defect attorney from Simpson Law Group. When a highway contains major defects, serious accidents can occur, including collisions between motorists, SUV rollovers, and crashes into construction equipment. Construction companies and municipal entities have a duty to make sure that their projects do not disrupt the safety of motorists by setting up proper warning signals and fixing obvious defects in roadways. When you are making a claim against powerful entities such as the government, you need a team of fierce personal injury attorneys on your side. We are not afraid to go against local, city, and state entities so our clients can obtain justice. From hospital bills, lost wages, and medical treatment, to rehabilitation costs, lost earning ability, and pain and suffering, we make sure that you are properly compensated for your physical and emotional losses. The San Diego car accident lawyers at Simpson Law Group provide experienced representation for persons who have suffered personal injuries or wrongful death as a result of a highway design defect. Accidents caused by defects in the highway occur for many reasons. When someone is injured or killed on or near a highway as a result of a defect, a number of different parties may be held liable, including government agencies, architects, engineers, and contractors involved in the construction of the highway. 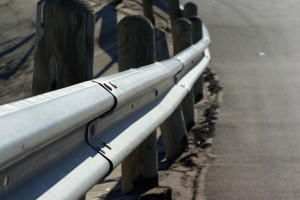 If you or a loved one has suffered from injuries caused by a highway design defect, contact Simpson Law Group to receive a free case evaluation.